Microsoft Excel. Why not other spreadsheet or software apps? Microsoft Excel is widely known and believed to be the De-facto standard for spreadsheet software, and enables the creator to provide a reliable and adaptable platform for its users. In effect, you are dealing with a platform provider as large as Microsoft, and not a potentially unknown software developer that may not be around tomorrow. The TJS incorporates an extensive amount of coding to provide the type of features and functionality found in the TJS products, which other spreadsheet applications will not be able to read. So, when comparing the TJS to other spreadsheet applications (like Google Sheets), or even online products, Excel has the Data Power, Data Visualization, Customization, Advanced Features and Coding ability to be the hands-down winner. Did we mention that there is no need to Log-in to access your TJS? Excel is stored right on your computer, and the TJS file can be stored in the cloud, making it possible to access your TJS from a 2nd computer. We can’t take your license key away like other trade journal programs. Once you have it – it’s yours to keep! If you find yourself needing support with this topic, we’re here… just Contact Us! Which Excel version can I use? * Free, or “online” Excel versions have limited functionality and will not work for the TJS product. Also, since the TJS product uses vba coding written in the English language, your Excel app language/region setting will also need to be set to U.S. or UK English (unless you are using a vba converter, in which we would not be able to troubleshoot). ** Please know, Excel 2007 is no longer supported by Microsoft, so as time goes by we cannot guarantee that Excel 2007 will continue to work properly with the TJS product. *** MAC users, using the Sierra OS (or prior) are able to use the TJS “v7” version and can be purchased via inquiry. Mac Excel (with older Mac O/S) have known issues that hide pop-up comments underneath (Images, Buttons, Graphs, etc.). TJS has embedded these comments for instructional purposes. It is also not as capable in reading the vba coding that is present in the new “v8” product. To avoid these issues, you can either upgrade to the “High Sierra” O/S, or use a modified TJS “Mac” file, which has replaced most Images and buttons with Text links instead. It also has a modified and a reduced amount of vba coding than the current TJS “v8” version. Thus, Mac users would receive the TJS Elite “v7” version instead, which 87% of TJS users are still using. The trade Analysis between the v7 and v8 products are exactly the same! This version does not have the same potential issues as the newer Mac Excel 2016/365 version, however there are still some minor issues with its inability to read vba code in comparison with its Windows counterpart. Thus, the prior “v7” file is recommended. However, all images and buttons are still intact. There is no limitation on which Mac O/S you are using with this Excel version. If you find yourself needing support with this, we’re here… Just Contact Us! I need Excel. How do I get it? Office 365 or Office 2019 – for Windows and Mac, Excel plus the Office Suite, for up to (5) computers. Excel 2016, for WINDOWS – Excel (only), for (1) computer. Excel 2016, for MAC – Excel (only), for (1) computer. Try Office 365 for Free! – Office Suite, Subscription based, for up to (5) computers. Does my purchase include support? In our eyes, analysis is only half of what we provide here at TJS, and we take great pride in that fact. You are encouraged to keep in touch should you need assistance. You will have our direct email to ask questions. We also have a support page with YouTube videos. If needed, we can talk on the phone and even provide remote-support for more personal assistance. 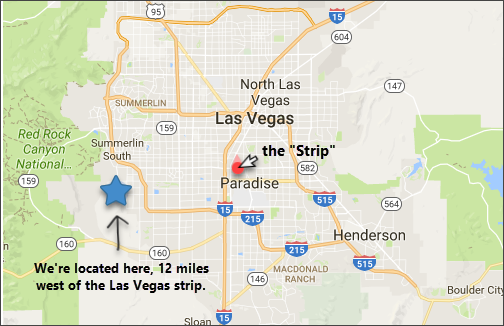 Feel free to read Reviews from happy TJS users around the globe. Is the TJS easy to use? Yes, it really is simple. You can think of it as a template, and one that’s been created for the vast majority of traders based on nearly a decade of user feedback. Really, all that’s required of the user is to click in a text box/cell and either type (or use a drop-down box) to enter your data. Button or Text links are used to navigate between the various sheets (no Scroll-bars necessary). Pop-up messages on each sheet provide instructional tips (if needed). So, you’ll start by modifying the Performance-tracking categories in your TJS Analysis sheet, telling it what to ‘track’ based on what you deem most important to you and your trading business. Then, record your trades in the TJS Trading Log. All columns are clearly formatted with instructions on exactly what to enter. After a trade has been closed, the Analysis sheet will populate, displaying vital information about your progress in each of your Performance-tracking categories. If you find yourself needing additional support, we’re here… Just Contact Us! Does my Excel or Office app need to be in English? There is an extensive amount of coding that goes on behind the scenes, which provides many of the features and functionality found in each TJS, and that coding is in the English language. Thus, your Excel application will need the English language add-in to operate. If you find yourself needing additional support with this subject, we’re here… Just Contact Us! Can the TJS track all Markets / Instruments? Yes! The TJS products were created for all: Stocks, Options (including Binary Options), Futures, Forex Currencies, (UK) Spread Betting and CFD traders. Even if you trade: Futures Spreads, Spread Betting currencies, Options Binary trades, you name it… TJS can analyze it! Do I need to "Log-in" somewhere, or have a "License key" ? There is no separate website you need to access, nor are there Log-in credentials needed to use your TJS, and there’s no license key to take away like other trade journal programs. After purchase, the TJS is yours to keep; you’ll always have quick and easy access to your TJS! No matter where you are around the globe, the TJS can follow you. Just save it to the Cloud! Can I create duplicate copies of TJS for individual analysis? Let’s say you’d like to analyze all of your (Paper, Sim, Practice, etc.) trading separate from your live trades (for obvious reasons), or you manage trading accounts and wish to keep the trading analysis separate for each individual. Well, you can do that easily with TJS. Make as many copies as you wish, and make a Backup copy as well while you’re at it. Can I enter screenshot images? Windows “Snipping” tool (free with the Operating System). or use the handy TJS Chart/image maker. Also, at TJS we go a step further. 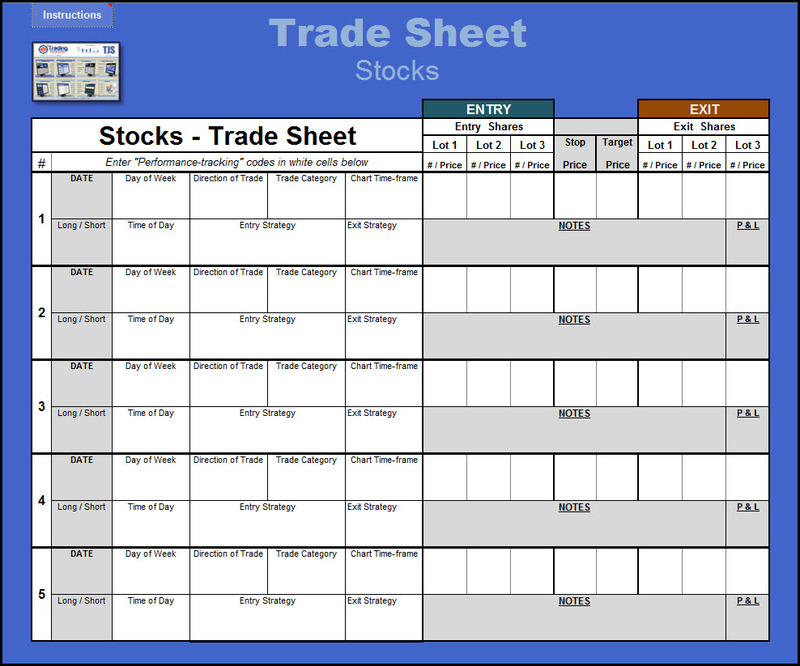 We’ve created the TJS Trade Review sheet, which will take your screenshot image and display it alongside your pertinent trade data. This allows you to review each and every trade (along with your image) in one convenient location, without having to scroll through your data. Not only that, but the print-parameters are preset, so if you wish to print your trade data, it’s easily done with just a couple clicks of the mouse. Does the TJS reside on my computer Hard-drive? TJS is a Microsoft Excel file that can reside either on your own hard-drive, or a “Cloud” based storage drive (or both!). We personally use a (backup/syncing) service called Dropbox.com for access from any computer running Excel – free for up to 2GB, plus get an additional 500MB when clicking the link above. This means the product file is yours to keep, always. No logging in or uploading file data is necessary with the TJS. Can I use TJS on my multiple computers? No log-in required. The TJS is stored on your computer. 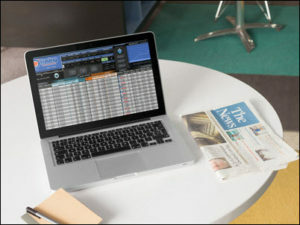 Log your trades from your favorite Cafe’! Quick and easy instructions are included in the “Thank You” email that is sent shortly after purchase. You can also use a service like Dropbox.com to have your TJS stored in the Cloud and automatically backed-up and synced between your computers. It’s free for up to 2GB ! Plus, get an additional 500MB when clicking the link above. * If your multiple computers are both a (Windows and a Mac) Operating System, we cannot guarantee that you will be able to share your file between the two different platforms, as there are too many variables that exist that may prevent this from happening. Although extremely rare, variables may exist that could prevent users of multiple computers (with the same Operating System platform) from sharing their file between the two. If this is the case, the user would receive a Registration error message on the 2nd (or multiple) computer. Can I use TJS on my: Laptop, Tablet, or Mobile phone? Yes, however, smaller screen sizes (and/or) lower resolutions settings may require some simple page optimizing for the best view. Using Excel’s “zoom” function is usually all that is needed. There should be no instances where you cannot use the TJS on your laptop as long as it has Excel loaded on it. As of this writing, Excel does not have a full-featured Excel app for Mobile phones or Tablets. Unfortunately, macro / vba coding and advanced Excel functions are needed to produce the type of enhanced usability the TJS has to offer, and mobile Excel offerings are not full-featured or macro / vba capable. You will need the Surface 3 or Surface Pro 3 (or greater). The Surface RT will not support the full version of Excel / Office, thus will not be able to run the TJS product. What about 3rd party add-ins? Broker Import, or Manual entry? 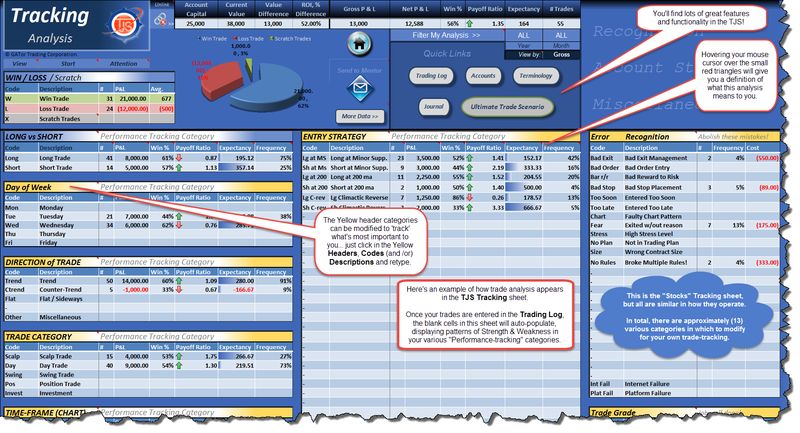 The TJS product is unique in that it summarizes your trade information into multiple Performance-tracking categories (modifiable by you). Broker export files are not in an organized format conducive to trade-tracking. 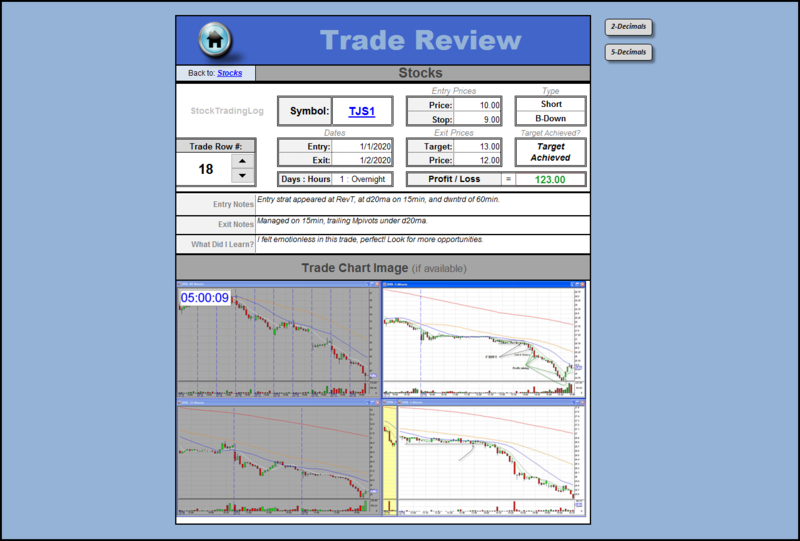 To get the type of analysis the TJS offers, a manual input of your trade information is necessary. Thus, (unless you use Ninja Trader*) the TJS will not import from your Broker or trading Platform. Here’s how one user states it when experiencing the TJS after using another competing product. It’s our mission to make it compelling for traders to go in-depth with each trade. However, broker export data will not have the psychological details and specific notes to do so. With this data, the TJS can give you a comprehensive Trade Review for each trade. All of this serves to provide an ideal post trade review. If you wish to become a better more adept trader, you’ll need to remember the details of each trade. The TJS can help you remember these details with the included Trade Sheet. Its purpose allows the trader to jot down the notes of their trades, helping them to remember the details without having to keep their trading journal open during trading hours. If a trader relies on downloading information from his broker, he is apt to doing so at a time where all is forgotten, which voids the purpose of a professional journal. “Those who cannot remember the past are condemned to repeat it” ~ George Santayana. ** Please know that anytime there is a 3rd party service involved, troubleshooting issues are at risk. If using a trading journal product that relies on the importing of data, the product may be at risk anytime the broker/platform owner chooses to update their own software. If the developer of your journaling product is no longer around, or is slow in responding to these changes, your trade-tracking efforts will suffer. * Ninja traders, please contact us for more information. Does the TJS use a "Data-feed" for prices? 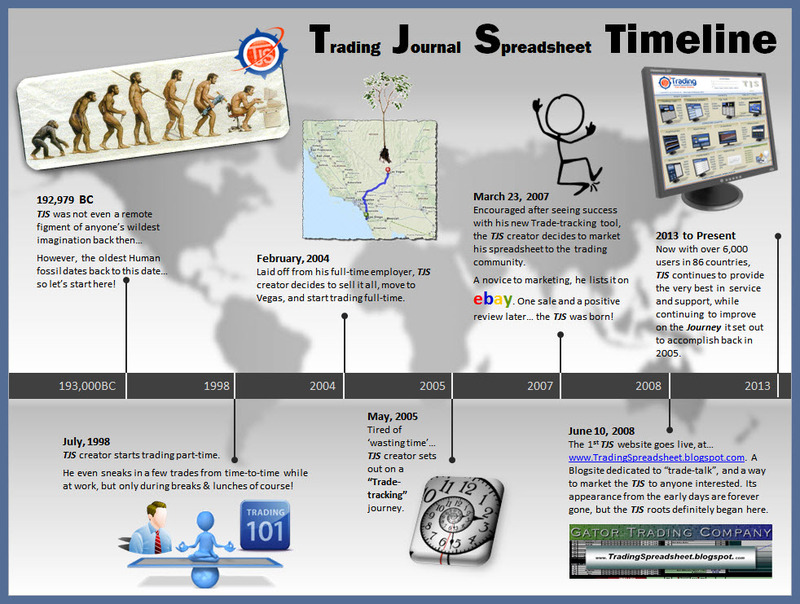 TJS is a trade-tracking journal specifically created to provide pertinent analysis for your Closed trades. Thus, there would be no need to have constantly updating prices in a trade-tracking journal. We believe our efforts are better spent on improving the trade-tracking experience without adding to the complexity of the product via unreliable add-on (data-feed) services. Also, the TJS offers products for all the various markets around the world, of which plug-ins are not available for, or are prone to becoming troubleshooting nightmares, or are prone to discontinuing their services. In an attempt to having a consistent product line experience, it would not make sense trying to incorporate a data-feed for one product when not available for the other markets. All the TJS wants to see, to provide you with the best trading analysis, is a Gross P&L — which is achieved by a closing Exit Price, or a manual Profit/Loss entry. * Temporary prices can always be entered in the Exit Price column to view your current P&L. 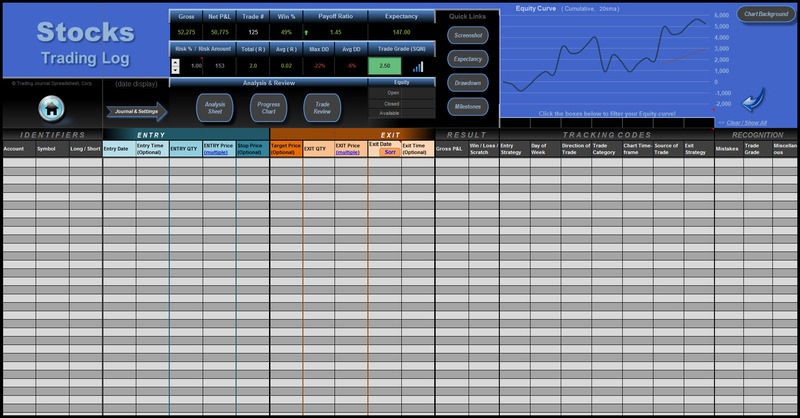 The Trading Journal Spreadsheet business is that of supplying software, that once downloaded, cannot be returned. Due to a lack of security and protection with Excel files, and to protect the intellectual property rights of the creator; we don’t give refunds if you simply change your mind or make a wrong decision. Please review all products carefully before committing to purchase, or contact us with questions first. Please know that we will do everything possible to make sure you are happy and satisfied with your purchase, both now and into the future. Refund requests can be made after an unsuccessful (remote-support) troubleshooting session has been completed, and within (30) days of purchase. If an issue cannot be resolved, leaving the product unusable to the end user, a full refund will be applied. * Microsoft for Windows Excel version 2007 or 2010, 2013, 2016, Office 365, or Excel for Mac 2011, or 2016 must be in proper working condition (installed using Microsoft defaults, and fully updated) in order to troubleshoot technical issues for the TJS Elite. At TJS, we take great pride in making sure each and every client is completely satisfied. After all, we’re still giddy with delight when trader’s see the true-value in the products we’ve created. Why would anyone do any less than their best efforts to ensure customer “happiness”? … which is why we provide Lifetime Support. That’s right, no questions left unanswered and no support issue ever forgotten. Clear & simple instructions are given inside the product, and in the “Getting Started” guide. A very thorough Support page has also been created for more detailed help, tips and instructions. If you’d rather just contact us directly – please do so! Please use the Contact Us form or send a direct email. We can even offer Phone and Remote Support if needed. Can I get additional User Licenses? Please visit the Additional User License page.